The workforce world is constantly changing and Apidel is one of the leading forces shaping that change. With a growing demand for both flexible and skilled workforces we have two distinct approaches to the market. For positions that require general skills, we offer our clients tailored solutions, focusing on industry know-how and cost leadership. This means ensuring continuity and nurturing long-term relationships with associates. Grooming the predominant workforce in recruiters and timely honing their skills by offering periodic training accelerates and fastens the pace of covering the business and responding to the client needs well ahead of time. To fill positions requiring specialized professional skills, we have experts who find the right candidates. Our aim is to provide consecutive assignments, ensuring talent retention and skill enhancement for our associates. In both approaches to the market, it is our goal to focus on operational excellence, specialization and efficient delivery models. We treat every Client Partnership as unique and adopt an industry-wide best practice to attract and hire best talent available in the market. We ensure understanding of client’s business and culture. Obtain consensus on position scope & responsibilities, compensation package, reporting relationships and profile of the candidate. Apidel has developed a stringent pre-employment screening process for on-boarding a hire that includes competency tests and a thorough background check. This ensures that we select only the top professionals for placement. We have a stringent pre-employment screening process in place for all employment opportunities. At Apidel, we screen, interview and evaluate prospective profiles. We fine tune the prospective candidate list. Prepare background profiles, verifications and reports. We facilitate client interviews of candidates. Collect feedback and debriefing from client and candidates. Perform reference checks, background checks, leadership assessments etc. as required. At Apidel, we conduct final interviews, negotiate salary and benefits. Complete closures and follow up with client and candidate. Similarly, we maintain contact with client and candidate to ensure smooth transition. 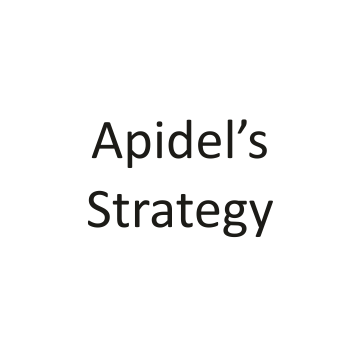 Apidel has a distinct delivery strategy of Re-active, Pro-active and Hybrid recruiting. Apidel focuses on bringing corporate offered savings to the workforce world. Our 3 tier recruiting system ensures focus on quality when seeking, placing and on-boarding professionals.